Well, this is my first year growing peppers as well, so I'm no expert. Maybe your plants are just going through a bit of transplant shock? 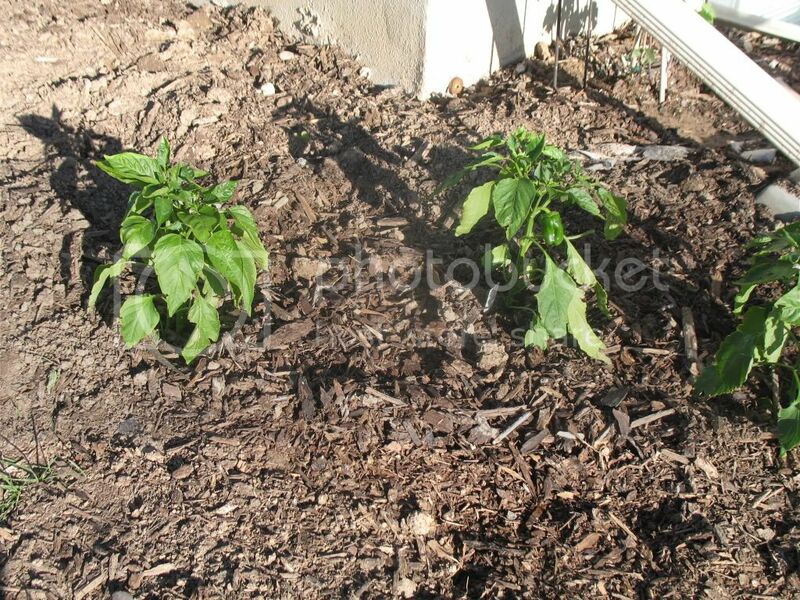 I know when I moved my peppers into the garden a couple of them were quite droopy for a day. Actually I was sure they were going to die because they were so droopy. But, after a couple days they were nice a perky and doing great. I'm sure someone else with more experience will be around soon with their opinion. Water them good each day for a week and they should be fine. 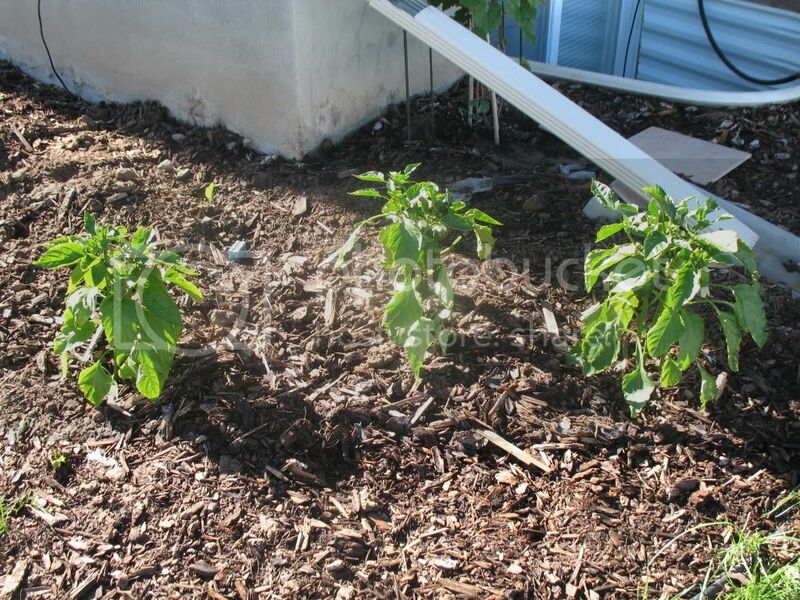 I hate to say it, but it would probably be best to pull off any peppers that are on them right now and let them start over once they are recovered and perky. You want the plant to put its energy into the recovery not the fruit. But if the plants look fine, you can try letting them go. It also looks like you still put them just a ittle close together for how big you expect them to get. Preferably you don't want the leaves of one plant touching the other, in order to maintain good air circulation and keep from spreading disease. you said opposite side of the house, is this side more sunny than the other? 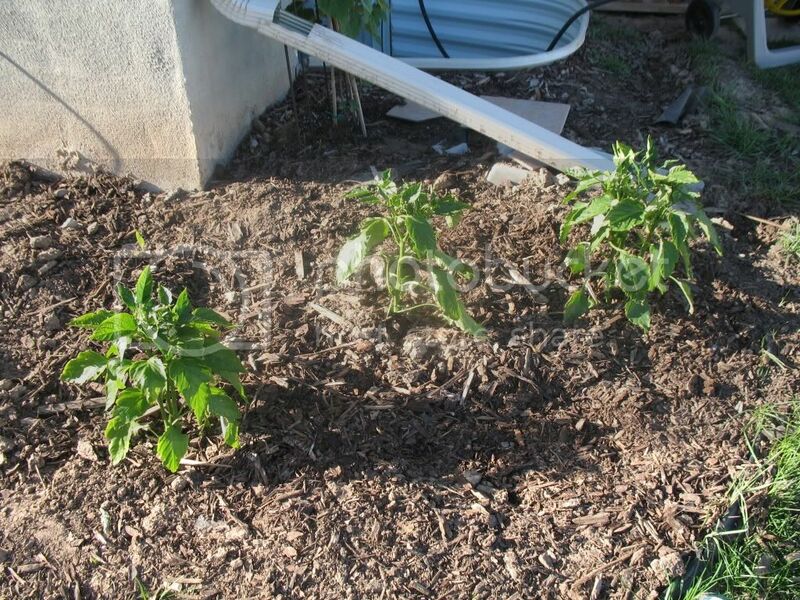 If it is i suggest some make shift shade for a week, along with removing the existing peppers, any new blossoms and water every day for a week as long as your temp is warm, day and night. Just in 24 hrs they look better. They are really looking good. The middle plant all the leaves are lifting up. When you transplant them, make sure you water plants right away after transplant. The plants look great by the way! 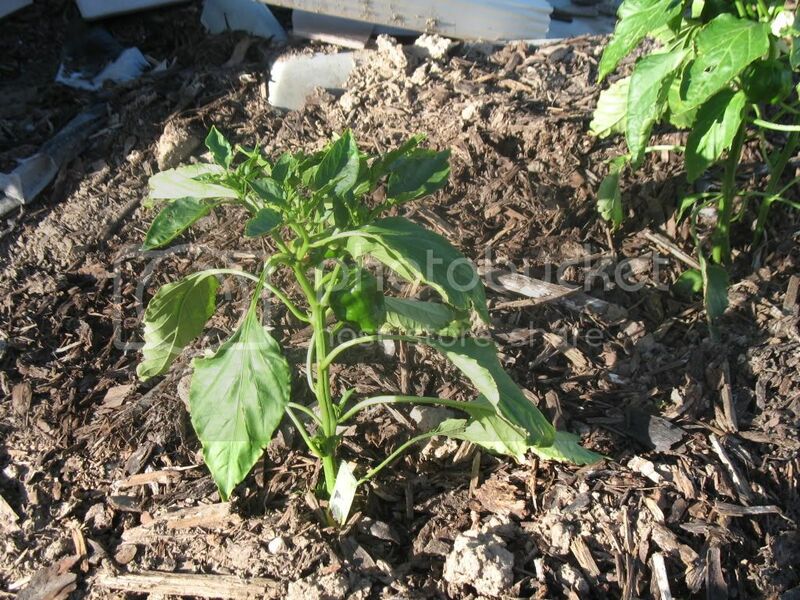 I have pepper plants in one of my raised beds and they are being killed by 22 mph winds. 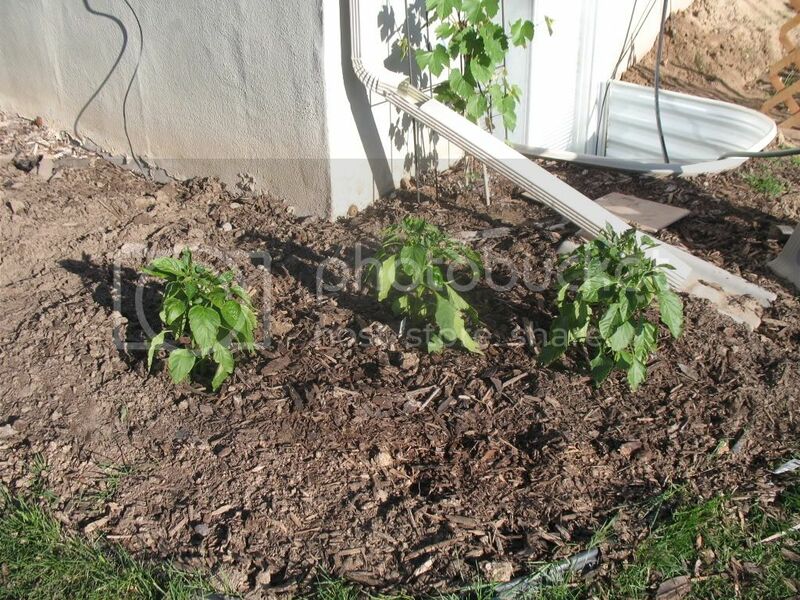 Anyway, once they start growing peppers and flowering, the leaves will droop a little.